Ted Cruz: The Houston Chronicle is not a fan of the Texas senator. 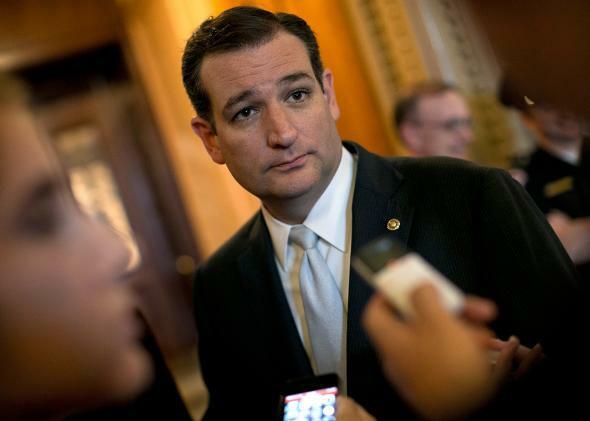 Sen. Ted Cruz talks to reporters during the partial government shutdown, when the Chronicle first soured on him. Breitbart News might be charmed and delighted by Sen. Ted Cruz and his family, but the new presidential candidate’s hometown paper is not. “Ted Cruz has every right, as best we can tell, to run for president, even though he was born in Canada to a Cuban father,” the Houston Chronicle editorial leads off. It has not always been this way. The Chronicle, which tends to lean left, actually endorsed Cruz in the general election of his 2012 Senate race, dubbing him “one of the shooting stars of the 2012 election season” and praising him for being “thoughtful, energetic, and dynamic.” But the paper withdrew its imprimatur during the partial government shutdown in 2013, saying Cruz had become “part of the problem.” That editorial drew national coverage, and the board then wrote a follow-up blog post clarifying that it wasn’t technically un-endorsing the senator, just very, very annoyed at him. The Chronicle’s harshness has some Cruz supporters baffled.